Basilius Bessarion (c. 1403-1472), mistakenly known also as Johannes Bessarion due to an erroneous interpretation of Gregory Mamme, was a Roman Catholic Cardinal-Bishop and the titular Patriarch of Constantinople. He was one of the illustrious Greek scholars who contributed to the great revival of letters in the 15th century, and was born at Trebizond, the year of his birth being variously given as 1389, 1395 or 1403. He was educated at Constantinople, and in 1423 went to the Peloponnese to hear Gemistus Pletho expound the philosophy of Plato. On entering the order of St Basil, he adopted the name of an old Egyptian anchorite Bessarion, whose story he has related. In 1437 he was made archbishop of Nicaea by John VIII Palaeologus, whom he accompanied to Italy in order to bring about a reunion between the Greek and Latin churches (which have been separated since the Great Schism of 1054) with the object of obtaining help from Western Europe against the Turks. As his return to Greece he found himself bitterly resented for his attachment to the minority party that saw no difficulty in a reconciliation of the two churches. At the councils held in Ferrara and Florence Bessarion supported the Roman church, and gained the favour of Pope Eugene IV, who invested him with the rank of cardinal at his consistory of 18 December 1439. From that time he resided permanently in Italy, doing much, by his patronage of learned men, by his collection of books and manuscripts, and by his own writings, to spread abroad the new learning. His palazzo in Rome was a virtual Academy for the studies of new humanistic learning, a center for learned Greeks, and Greek refugees, whom he supported by commissioning transcripts of Greek manuscripts and translations into Latin that made Greek scholarship available to Europeans. 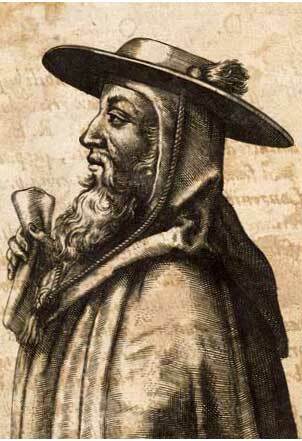 He supported Regiomontanus in this fashion and defended Nicholas of Cusa. He held in succession the archbishopric of Siponto and the suburbicarian sees of Sabina and Frascati. At the papal conclave of 1455 which elected the Aragonese candidate, Alfons de Borja, as Callixtus III, Cardinal Bassarion was an early candidate, for his disinterest in the competition between Roman factions that pressed candidates of the Orsini and Colonna. He was opposed for his Greek background by the French Cardinal Alain de Coëtivy. "It is probable that the cardinals were less afraid of his Greek training and temperament than they were of his known austerity and passion for reform", Francis A. Burkle-Young has observed. In 1463 his fellow humanist Aeneas Silvius Piccolomini, now Pius II gave him the purely ceremonial title of Latin patriarch of Constantinople. For five years (1450-1455) he was legate at Bologna, and he was engaged on embassies to many foreign princes, among others to Louis XI of France in 1471. Vexation at an insult offered him by Louis is said to have hastened his death, which took place on November 19, 1472, at Ravenna. Bessarion was one of the most learned scholars of his time. Besides his translations of Aristotle's Metaphysics and Xenophon's Memorabilia, his most important work is a treatise directed against George of Trebizond, a violent Aristotelian who had written a polemic against Plato, which was entitled In Calumniatorem Platonis ("Against the Calumny of Plato"). Bessarion, though a Platonist, is not so thoroughgoing in his admiration as Gemistus Pletho, and strives instead to reconcilef the two philosophies. His work, by opening up the relations of Platonism to the main questions of religion, contributed greatly to the extension of speculative thought in the department of theology. His library, which contained a very extensive collection of Greek manuscripts, was presented by him in 1468 to the senate of Venice, and forms the nucleus of the famous library of St Mark's, the Biblioteca Marciana. Francis A. Burkle-Young, "The election of Pope Calixtus III (1455)" Bessarion an early canddidate, opposed by the French.